Today's photo comes from Sebastian Gomes who is currently in Rome with exclusive access to the Synod of Bishops on the New Evangelization for the Transmission of the Faith. 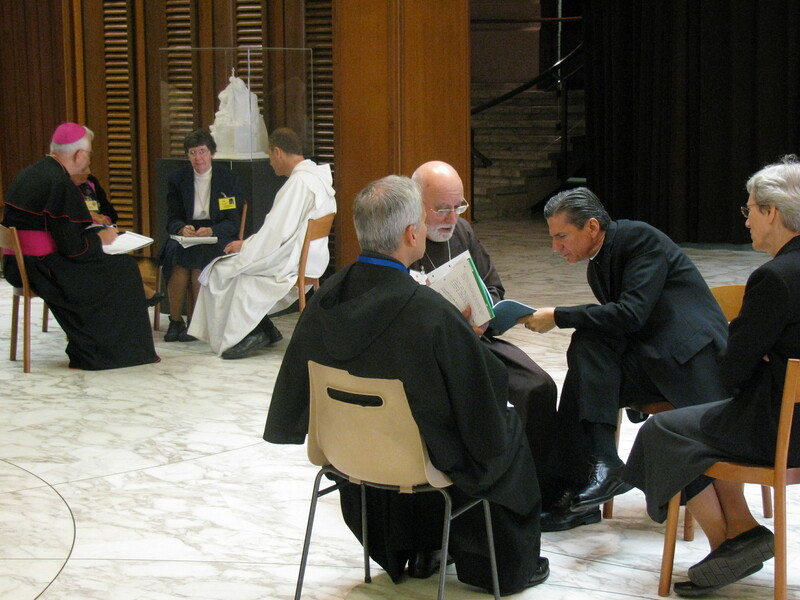 Here Synod members are gathered in their small working groups. The group in the foreground includes Canadian Bishop John Corriveau, OFM of Nelson, B.C. In the background, the group includes Br. Alois of the Taize Community who was invited to the synod by Pope Benedict XVI.